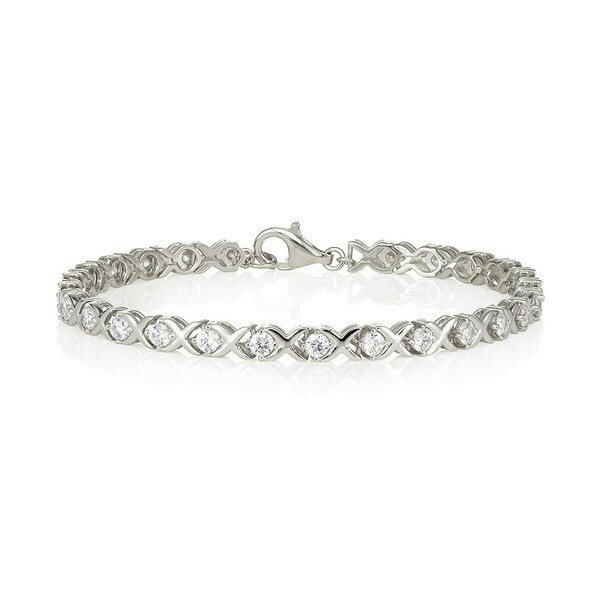 This beautiful bracelet is made from sterling silver with a rhodium plating, and features 3.20ct of sparkling swarvoski crystals cut into round brilliant stones and set in between X links. This bracelet is unique and stunning and would make perfect gift for your loved one or friend. This bracelet will arrive beautifully packaged and can be gift wrapped for free if requested. Every item posted will require a signiture for added piece of mind. Once your order has been received our dispatch team will ensure that your item is processed and posted within 24 hours. We aim to have your jewellery delivered to you within 3-4 full working days. All orders of £50 and over are delivered free within the UK and anything under will cost just £2.95. Every item posted will require a signature for added peace of mind. We also post worldwide with the following charges. All our jewellery comes with its own special presentation box to make your gift that little bit more special.